I believe that laughter and tears are among the top compliments that can be paid to any story-teller. Shadow Hand brought me to both. I’m pretty sure I sobbed through the last…erm… five chapters. LOL But there were also many moments of lighthearted humor that made me chuckle. 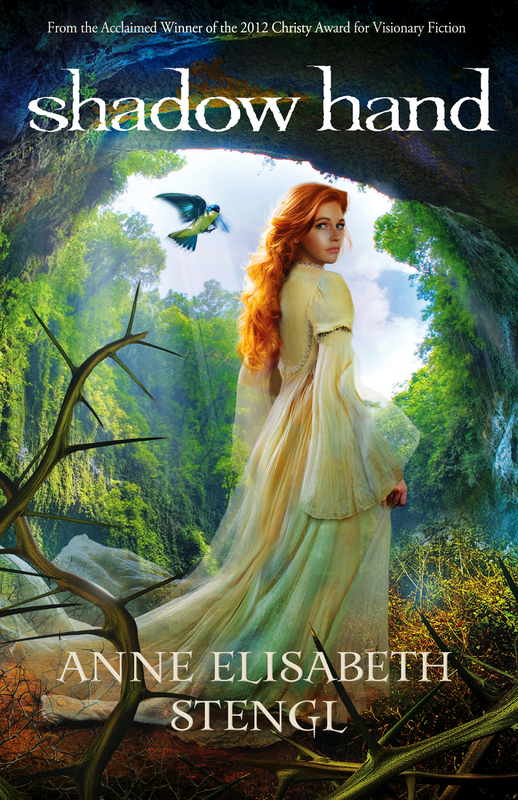 This seventh (I know, I know, it’s technically book #6, but I’m counting “Goddess Tithe” as a full “tale,” so there) installment in Anne Elisabeth’s Tales of Goldstone Wood has soared into the “favorite” category in my heart. Moreso than any other of her books, all of which I have loved and enjoyed, this story held me spellbound. It wasn’t about characters I had expected. Daylily and Foxbrush had been so expertly woven into their roles as “secondary” and even “unimportant” in previous books, that I perceived them exactly as that. I looked upon Foxbrush with not a little disdain, and Daylily just seemed like a grasping, obnoxious, gold-digger. I didn’t really LIKE either of them. So it is with some surprise that I must admit that this book is, so far, my favorite in the series. Of course, that could be because I’m just a sucker for a really well-told redemption story. Suffice to say, that the book opens upon the morning of Foxbrush and Daylily’s wedding. But instead of getting married, Daylily flees the premises and plunges into the Wilderlands that she helped condemn Rose Red into just a few books ago. And events unfold rather alarmingly from there. The Wood Between plays tricks as the space-time continuum gets twisted out of proportion and our heroes are separated not only by distance, but years. Foxbrush and Daylily are sent back into the murky past, while Lionheart finds himself in the not-so-distant future, where he must foil a plot to usurp Foxbrush’s throne and hold the line until Foxbrush returns… if he will ever return. And of course, we catch glimpses of Eanrin and Imraldera. Yay! Who pretty much ripped my heart out. But I’m not going to say why. Goldstone Imps. This book is a must read. And if you’re not a Goldstone Imp… this book is the reason you should definitely become one. These stories just keep getting better. Others have mentioned that this story is the darkest Anne Elisabeth has penned, and while I can see where they are coming from, I sort of disagree. It isn’t so much that it is incredibly dark, as it is just so much deeper than previous stories. (Not to, in any way, say that her previous stories are shallow!) It’s just that the depth and complexity of this plot and the depth and complexity of the characters will draw you in, dear Reader, and hold you fast until the final page. Definitely 5 Dragon Eggs for this one. For more information about Anne Elisabeth, or her Tales of Goldstone Wood, please visit her WEBSITE. For more information about SHADOW HAND, in particular, you can visit the SHADOW HAND BOOK PAGE. I should also include, as per FTC guidelines, that I received this book from the publishing company for a review. They did not ask for a positive review, merely an honest one. And though I love free books, my good opinion cannot be so lightly bought. P.S. Congratulations to the winner of the SECOND SON giveaway: Kendra Ardnek!